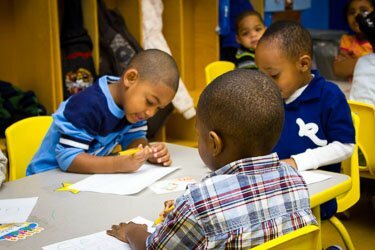 Premier Academy is committed to providing wrap-around services to children to ensure they are prepared for a lifetime of learning success. We partner with more than 20 therapeutic and remediation, healthcare and mental health, and community service providers to address developmental delays early on and provide children and their parents with a wealth of resources to reinforce learning, stability, and health in the homes. Our focus is on the total child, and family support is critical to each child’s developmental journey. We provide educational workshops and training seminars, led by industry leaders, to equip and empower parents as advocates and change agents for their children in our centers and beyond in the public school setting. 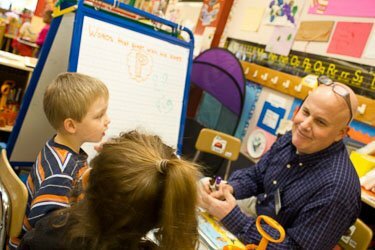 We serve as guides to families who may require assistance navigating the complexities of the public school system, particularly for children who require additional resources and supports, by connecting parents and teachers, providing forms and documents for kindergarten enrollment and immunizations. We also recognize that many of our families face enormous challenges and barriers that create real threats to their children’s security and developmental progress. Premier Academy partners with a wide network of providers to meet the developmental needs of children and offer family supports to encourage continued and stable learning and emotional wellbeing in the home. We provide culturally relevant, school-based mental health counseling services by licensed counselors for children and parents who need supplemental tools to cope with stress and crises in the homes.